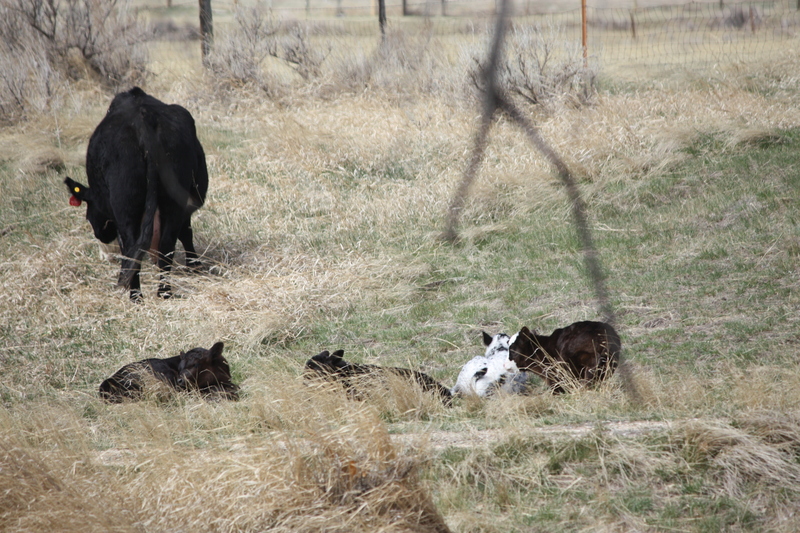 It is spring in the country, and new calves are cropping up on the scene. They appear on wobbly legs alongside their mothers as they try to nurse, and then collapse into the grass or sagebrush for long naps while their mothers graze nearby. All through the winter months the cows largely ignored us on our daily walks and would occasionally draw close enough to have their ears scratched or flanks patted as we passed by. Once the calves show up, it is a very different story. It is every man (or woman) for him or herself, and that goes for the dogs. Rosie has been chased by an irate Angus or Longhorn cow so many times she now cuts a wide berth around the cows and their calves. And we follow suit. My attempts to photograph the baby calves has consisted of short bursts of bravery followed by cowardly retreats at high speed. and could use a little help, so suggestions are welcome. In the meantime, we are on a watch for a different breed of baby, due between now and May 1. More darned exitement! 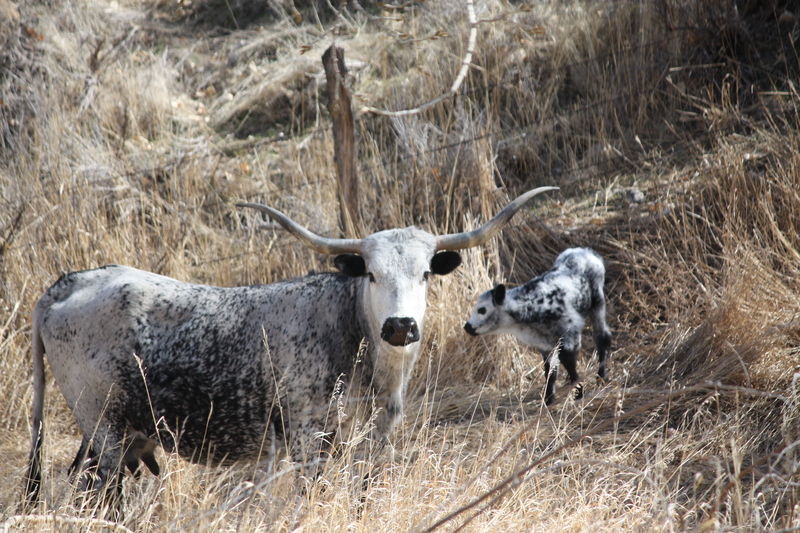 This entry was posted in Wildlife blog and tagged horns of a dilemma by bygeorge. Bookmark the permalink. Dang! Great post. Fab photos of the heifers and babes. Be careful, lots of propagating out your way …..